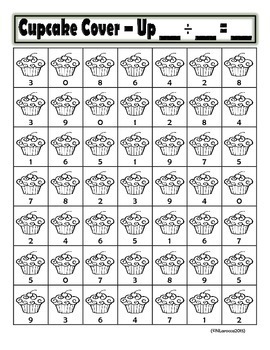 Do your students need to practice their multiplication and division facts? 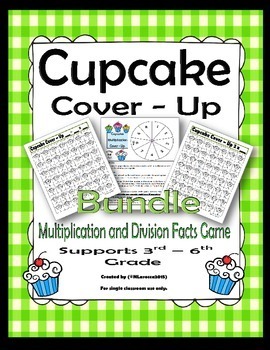 If so, then why not play Cupcake Cover-Up, a fun facts game in which students get to frost cupcakes in a friendly cupcake math facts competition. 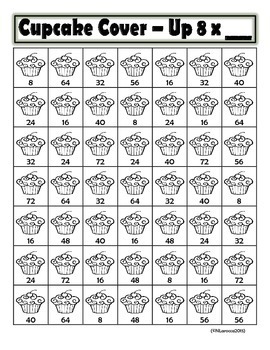 •	8 different game sheets that engage students with practicing math facts of 2, 3, 4, 5, 6, 7, 8, and 9. •	Directions Sheet with spinner. •	2 different game sheets. 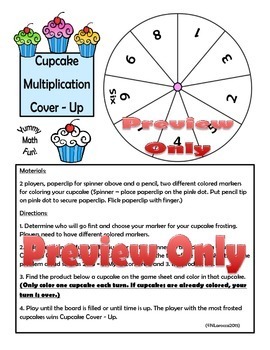 •	9 different direction sheets with spinner that engage students with practicing math facts of 1, 2, 3, 4, 5, 6, 7, 8, and 9. This is appropriate for 3rd-6th grade. My 4th grade students loved this game! I hope you can use this in your classroom to benefit your students. This is for educational purposes only and no part should be reproduced, translated, stored in a retrieval system, or transmitted in any way by any means (electronic, mechanical, photocopied, or recorded) without prior written permission from the author.